New research has found an increasing appetite for smart city measures that aim to tackle urbanisation problems, such as congestion and security issues, with almost a quarter (24%) of Brits even saying they would be happy to fund these solutions using part of their own tax contributions. The study of 1,000 people, conducted by ATG Access, found that this willingness rises substantially when it comes to funding measures which improve transport infrastructure. More than half (57%) would be happy for their tax to go towards smart traffic lights, and 44% for smarter signs which give real-time traffic updates. Nearly a quarter (24%) said they would also be willing to fund smart barriers that help with incident management. Investment in the smart city concept looks set to grow, with global spending expected to hit $135 billion by 2021. However, uptake in the UK has thus far been relatively slow with cost often cited as an issue. Despite the current lack of investment, there is a clear interest in the smart city concept. 74% of people interested in smart city measures believe they would help to improve day-to-day issues, such as congestion. Conducted as part of ATG’s ‘Smart cities: Turning the dream into a reality’ report, the research outlines the urbanisation problems that could be solved through the adoption of specific smart city concepts, such as traffic, crime and emergency incident response. It explores consumer attitudes and perceptions towards smart cities, and ways to overcome current barriers to adoption in the UK. As our cities become more and more congested, it’s becoming increasingly clear that our current urban infrastructure is no longer fit for purpose and smart cities are a clear step forward. 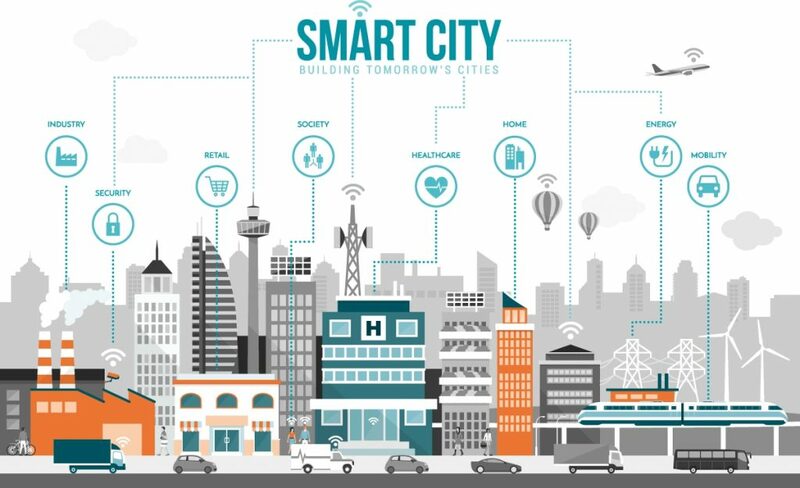 However, despite the obvious benefits of the concept, there are still some issues to be circumnavigated if the UK smart city is to make the transition from far-flung concept to reality – with funding uncertainaties and costs a key issue. “But what is apparent from our research is that people clearly see the benefits of a smart city. The solutions are available and in the most part, proven and tested, so it is time we begin to look for ways to help fund and support these types of projects that facilitate a safer and smarter future for our British cities. 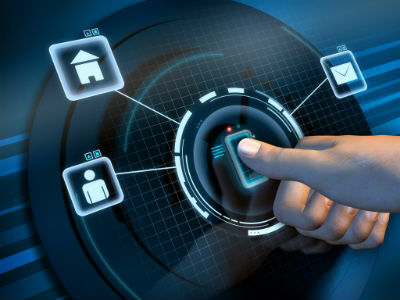 A company which specialises in smart homes has made arrangements with a biometrics finger company in Austria in order to integrate the wall-mounted finger scanner into the house system and maximise security. Biometrics – measurements of unique parts the human body such as fingerprints, irises and faces – are much more difficult to hack or guess than a 4-digit PIN, and much more difficult to steal than a smart-card/keycard. said Michael Short, global residential marketing manager for Crestron. SCS provides enhanced security for residential, retail and commercial installations. For maximum peace of mind, we offer a biometrics access control system, which can be programmed to also demand a smart-card for access. Multi-factor authentication is always more secure, and this biometrics and smart-card combination is no exception, since now no-one can enter your premises with just a stolen smart-card. Our software can fine-tune and regulate individuals’ access control options, from the very broad, e.g. all employees can go here and all guests cannot, right down to, for example, one particular person can enter this room between the hours of 11am to 3pm. If you’d like to find out more about the range of solutions supplied by SCS, both in terms of hardware (smart card readers, biometric readers, turnstiles, etc.) and software (access rights management software solutions, etc. ), just contact us. We’ll be more than happy to answer any queries you may have. CCTV cameras are everywhere in the UK and are considered one of the most efficient tools in preventing crime. But only if they work. 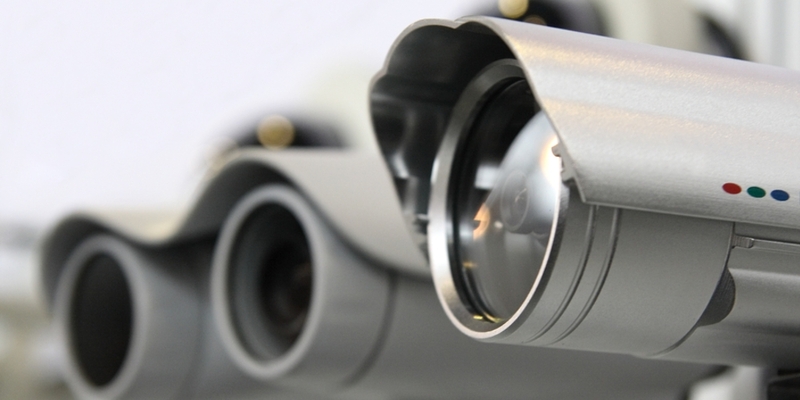 In order for CCTV cameras to be beneficial, they need to be correctly installed and maintained. If you stroll through any city and look closely, you will notice cameras everywhere. This may make you feel safe. But how many of them are truly capable of providing you with security? Correct CCTV installation is not only about where the camera is placed, but also about how it is placed there, how it is connected to the rest of your company’s security and data systems, how the pictures are archived and who has access to them. In other words, your CCTV system needs to be seamlessly integrated with your other management and ITC systems. They need to work together as a well-oiled machine in order for you to get the best possible results. Not only do these elements make the difference between footage that can catch a criminal and footage that shows nothing useful, but many of them constitute legal requirements that fall into your responsibility. 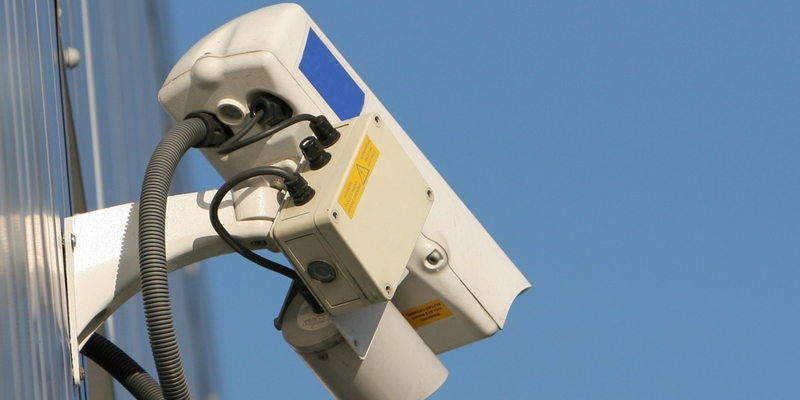 Faulty CCTV deployment can incur huge costs in fines and damages suits. Even more, if your system isn’t properly installed, you may not use the footage as evidence when you need it the most. Last, but not least, what good is a CCTV system if it’s not thief-proof? Proper installation ensures that your system is not easy to tamper with and render it useless. 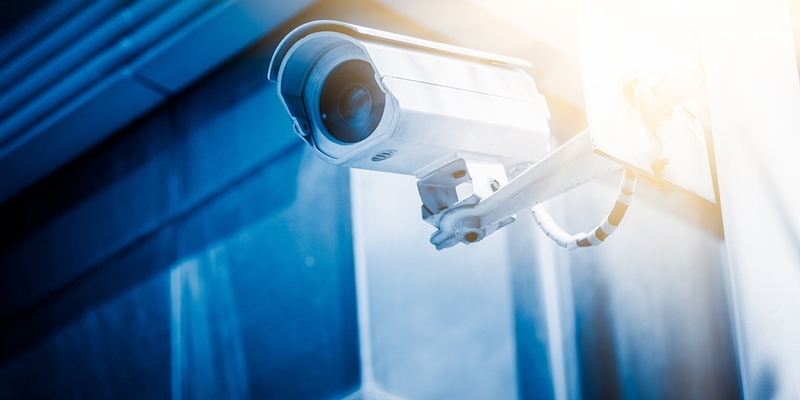 In CSC’s twenty years of experience of CCTV systems installation in commercial buildings, we have come across – and learned from – many CCTV deployment mistakes. In today’s post, we are going to talk about the most dangerous ones – the basis of the most important lessons we have learned. Ignoring environmental factors in monitored areas is the most common mistake made in CCTV deployment. The most intuitive example is ambient light level: insufficient or radically unequal lighting can result in undecipherable footage. Humidity, dust and vibration, which can severely impact the lifetime of the CCTV cameras, their storage media and their cabling. Electronic / Magnetic interference, which may require special provisioning for long-distance data cables. Environmental factors should play a role when planning deployment, selecting equipment, and installing the system. Even indoors equipment is susceptible to bad lighting conditions or electrical interference, so you should not ignore these concerns simply because your company’s offices are in an air-conditioned, clean glass building. We carefully plan each installation and factor in environmental conditions before making any decisions or drilling any holes. Most CCTV users are primarily concerned with what they are monitoring, so they focus primarily on the cameras. If live monitoring is required, the operators have to work from a secure room, where access is strictly controlled and logged. This room needs to have an adequate size and lighting, and – since the equipment usually generates a lot of heat – adequate ventilation and temperature control. In fact, some businesses opt to do the live monitoring off-premises. Even if live monitoring is not accessed, the recorded pictures need to be stored and archived in a secure location, as businesses are legally responsible for the security of their CCTV footage. Make sure that your storage room is not affected by humidity and that it’s perfectly safe from extreme weather conditions. Infrastructure convergence is no longer something that security professionals are debating. Even large enterprises, where physical security and IT have been separate functions virtually throughout the history of IT, are no longer talking about whether it makes sense to treat them together, but about how they can optimize this convergence. Maintaining a separate network for CCTV equipment, installed separately from the rest of the office network, with separate maintenance procedures and servicing contracts is a significant management and financial burden. It reduces the flexibility of your security systems, while needlessly increasing infrastructure costs. Networking service providers have long recognized this tendency and have begun to offer integrated network design and cabling services. Although physical security and IT are no longer separate functions, they do have specific – and separate – requirements. CCTV cameras have special installation requirements that range from legal restrictions to specific provisions regarding power and data cabling. Most indoors CCTV cameras today use Cat-5/6 cables for their data connections, just like desktop computers. Higher-speed cameras, or cameras used for outdoors deployment tend to use fibre optic cables, which can carry data at higher speeds and over longer distances. Due to their convenience and ease of installation, wireless cameras are becoming increasingly popular – but even these require power cabling (albeit, if the electrical installation is adequate, over much shorter distances). However, each type of cable only works over a certain range of distances and has special connection and interoperation requirements – for example, you cannot plug an optical SFP or OFP connector to your office router. Mistakes made when choosing equipment tend to be costly to repair – and mistakes made while installing the cabling tend to be difficult to troubleshoot. This is why you should always work with professionals for all your cabling and CCTV deployment needs. It may look cheaper to have a friend who “knows cabling and is techy” do the installation for you. But in the long run, it will definitely cost you a lot more to fix mistakes. 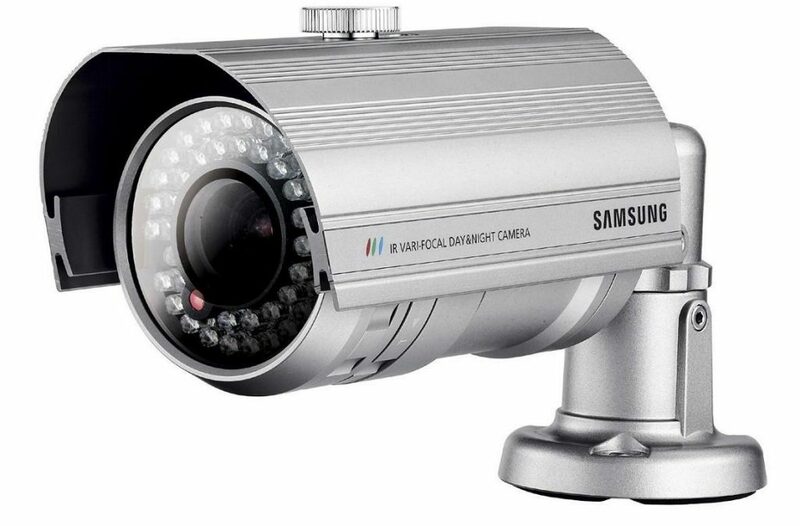 Good quality CCTV cameras are designed to be sturdy and reliable. If they are properly installed, most cameras end up being replaced due to growing customer demands or technical obsolescence, not because they break. However, like all security equipment, CCTV cameras do need regular inspection and maintenance. It can be tempting to place cameras in inaccessible locations and permanently seal cables into their enclosures. Indeed, no one will be able to tamper with the cable or the camera – but changing a damaged cable or replacing the camera will be equally difficult. It is crucial to think about your long-term investment here. Make sure that easy access to cables is granted and that the maintenance and repair teams can intervene quickly when there is a problem to be solved. Not following legislation is the single most disastrous mistake you can make when it comes to CCTV cameras. Being recorded at work or in a public place is a problem that everyone takes seriously. Leaking or misusing recorded information can have disastrous consequences for the persons recorded, even when they are not caught doing anything illegal. Let everyone know that CCTVs are being used and why (usually by putting up a sign announcing that “you may be recorded”). Keep images only as long as your business needs them. Be able to provide images within 40 days to anyone who has been recorded and, if you are asked, to the authorities. The DPO itself is augmented by a number of other regulatory documents, primarily the Freedom of Information Act (FOIA) and the Protection of Freedoms Act (POFA). These requirements are outlined in the Surveillance Camera Code of Practice, issued under the POFA. The ICO’s handy code of practice also includes a useful, more down-to-earth overview of your responsibilities. The legislation in this field is very murky and probably best left to experts in matters of law. However, you should at least be aware of its scope, and you should ensure that any third-party you work with is aware of it as well. Most CCTV footage is not used immediately after being recorded. At a minimum, many burglaries against commercial properties take place during the night, so it can be hours before someone retrieves the recording. In other cases, it may take days or even weeks before someone notices something wrong and decides to look at CCTV footage, or before an official request from the authorities is delivered. Consequently, CCTV footage needs to be properly archived. The basic guideline is that your system should be able to store 31 days of good quality pictures; there is rarely any reason to reduce this period, but for some businesses it can make sense to extend it. All recordings must be retained in a secure environment with adequate access controls and logging. The tokens used to access secured data (passwords, encryption keys etc.) should be kept secure, only by authorized operators, but must be available at all times. Footage that can no longer be accessed is of no use. Footage should be archived and indexed so that the desired fragment (usually identified by date and time) is easy to locate. Fortunately, the Home Office issues a leaflet with 19 simple guidelines to follow in order to ensure the quality and safe storage of your CCTV footage. The installation of CCTV systems is often time- and resource-constrained. Many operators are content to just turn everything on and make sure that every camera seems to be recording and producing footage. This can be sufficient for simple installations, which only have one or two security cameras pointed at the doors. But for more complex installations, this level of validation is dangerous. Have you ever noticed how “alien” CCTV footage seems – how everything looks warped, how the surroundings look remarkably static and narrow, and how various features are unexpectedly blurry, even though others are crystal-clear? That is because CCTV cameras have optic parameters that are quite different from those of the human eye. Unfortunately, that makes it hard to verify parameters like coverage and image detail just by looking at a screen for ten seconds. Image parameters: field of view, image detail, live and recorded quality. Integration with any other security system components, such as alarms, access control and motion detection systems. Does all this seem too complex? We’re not going to lie – it can be. Especially if you want to make sure you the CCTV system monitoring your office building is always functioning properly and is not easy to tamper with. It may be tempting to purchase the cheapest cameras on the market and have your “tech guy” install them, but this will in no way guarantee your safety. CSC have more than 20 years of experience in flawless CCTV deployment in London and the surrounding areas. We can make sure that you will get the most out of your system with a minimal investment. Plus, we always ensure that your CCTV system is sturdy and future-proof. Want to know more about how we can help you install a new CCTV system or upgrade your existing one? Get in touch with us and claim your no-cost, no-obligations site survey! Since the dawn of time or at least as long as we can recall different generations of Wireless Local Area Network (WLAN) technology or simply, WiFi, has been known by its industry standard designations IEEE 802.11 dot something. You can now forget all these confusing alphabet soups of initials and 802.11 numbers because the Wi-Fi Alliance have adopted consumer friendly naming conventions. The new naming system is said to identify Wi-Fi generations by a “numerical sequence which correspond to major advancements in Wi-Fi” (i.e. that’s a roundabout way of saying 1, 2, 3 etc.). For example, the very latest 802.11ax standard will now simply be called Wi-Fi 6, which is certainly simpler, but we dare say that most enthusiasts will merely shrug their shoulders and let out a muted sigh. For nearly two decades, Wi-Fi users have had to sort through technical naming conventions to determine if their devices support the latest Wi-Fi. Wi-Fi Alliance is excited to introduce Wi-Fi 6, and present a new naming scheme to help industry and Wi-Fi users easily understand the Wi-Fi generation supported by their device or connection. Edgar Figueroa, President and CEO of the Wi-Fi Alliance. Under its naming convention, the alliance calls 802.11ax Wi-Fi 6. 802.11ac is now Wi-Fi 5, and 802.11n is Wi-Fi 4. Meanwhile it’s important to know that the Wi-Fi Alliance has not made up simpler names for all the 802.11 standards, so it’s important to be familiar with the traditional designations. Also, the IEEE, which continues to work on newer versions of 802.11, has not adopted these new names, so trying to track down details about them using the new names will make the task more complicated. Approved in December 2012, 802.11ad is very fast – it can provide up to 6.7Gbps of data rate across the 60 GHz frequency, but that comes at a cost of distance – you achieve this only if your client device is situated within 3.3 meters of the access point. Current home wireless routers are likely 802.1ac-compliant and operate in the 5 GHz frequency space. With Multiple Input, Multiple Output (MIMO) – multiple antennas on sending and receiving devices to reduce error and boost speed – this standard supports data rates up to 3.46Gbps. Some router vendors include technologies that support the 2.4GHz frequency via 802.11n, providing support for older client devices that may have 802.11b/g/n radios, but also providing additional bandwidth for improved data rates. The first “letter” following the June 1997 approval of the 802.11 standard, this one provided for operation in the 5GHz frequency, with data rates up to 54Mbps. Counterintuitively, 802.11a came out later than 802.11b, causing some confusion in the marketplace because consumers expected that the standard with the “b” at the end would be backward compatible with the one with the “a” at the end. Known as High Efficiency WLAN, 802.11ax aims to improve the performance in WLAN deployments in dense scenarios, such as sports stadiums and airports, while still operating in the 2.4GHz and 5GHz spectrum. The group is targeting at least a 4X improvement in throughput compared to 802.11n and 802.11ac., through more-efficient spectrum utilisation. Approval is estimated to be in July 2019. Called Next Generation Positioning (NGP), a study group was formed in January 2015 to address the needs of a “Station to identify its absolute and relative position to another station or stations it’s either associated or un-associated with.” The goals of the group would be to define modifications to the MAC and PHY layers that enable “determination of absolute and relative position with better accuracy with respect to the Fine Timing Measurement (MTM) protocol executing on the same PHY-type, while reducing existing wireless medium use and power consumption, and is scalable to dense deployments.” The current estimate on approval of this standard is March 2021. Otherwise known as “Wake-Up Radio” (WUR), a new technology aimed at extending the battery life of devices and sensors within an Internet of Things network. The goal of the WUR is to “greatly reduce the need for frequent recharging and replacement of batteries while still maintaining optimum device performance.” This is currently expected to be approved in July 2020. Expect to see the first fully certifiedWi-Fi 6 commercial kit hit store shelves later this year. Theoretical peak data speeds of up to 10Gbps are being promised over the combined 2.4GHz and 5GHz radio spectrum bands, alongside better management of spectrum in congested environments. Until then continue to deploy 802.11ac or Wi-Fi 5 equipment. Wi-Fi 6 (802.11ax) – Expected the standard to be published in early 2019, this version will improve on the coordination of data transmitting between the router and several devices wirelessly connected to it. It’s meant to accommodate the growing use of internet-connected devices (AI assistants, cameras, lights, speakers, thermostats, etc.). The main way it increases speed is by fully combining the 2.4GHz and 5GHz spectrum bands. Previously, 802.11ac and 802.11n (or Wi-Fi 4) were forced to work on the two bands separately, but the new standard will utilise them simultaneously. MU-MIMO technology will also be enabled for uplink data, in addition to the downlink data it already supports. 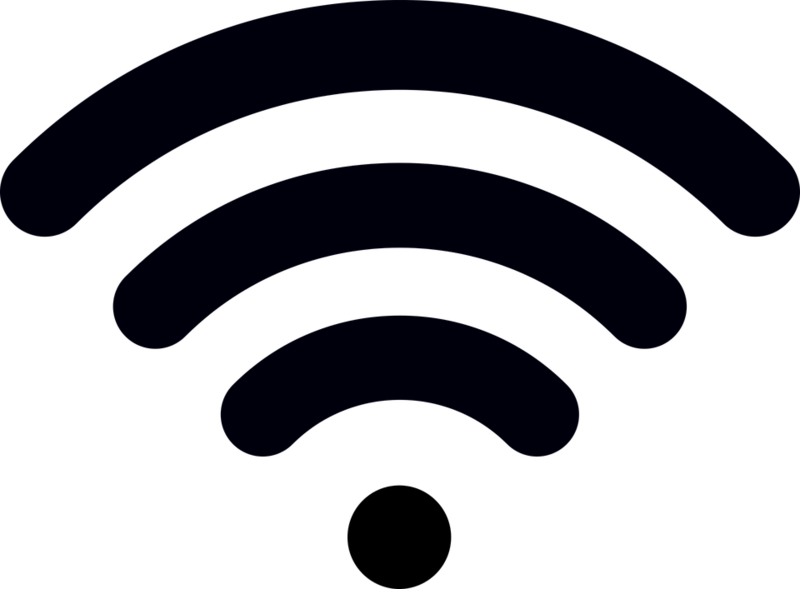 Wi-Fi 5 (802.11ac) – Published in December 2013, this is the version that’s found in the latest, top-of-the-line routers and devices you can buy today. It was designed to meet the growing need for moving large amounts of data throughout a Wi-Fi network, such as for cloud storage services and streaming high-resolution video. Its top speed is 3.4 Gbps. Wi-Fi 4 (802.11n) –Published in October 2009, this version tops 600 Mbps and nearly doubles the broadcast range of its predecessors. It uses multiple antennas to hit such high speeds. Global Access Control Market was valued at USD 6.8 billion in 2017, and is expected to reach a value of USD 11.1 billion by 2023 at a CAGR of 8.45%, over the forecast period (2018-2023). According to the FBI’s Internet Crime Complaint Center (IC3), the Business Email Compromise (BEC) scam saw an increase of 1,300% in identified exposed losses, totaling over USD 3 billion, since January 2015. Such losses could be better controlled through the use of access control software. According to the Association of Fraud Examiners in 2015 the amount of internal theft accounts for about 5% of annual revenue for companies. The implementation of access control systems contributes to the growth in the safety and security of office surroundings. Such identity theft of data has been increasing owing to which governments have been adopting the use of access control systems. As the cyber attacks, frauds and government authentication mandates continue to grow in sophistication and scope, the need to strengthen security while reducing costs is paramount across various industry verticals. The implementation of access control systems contributes to the growth in the safety and security of office surroundings. Such identity theft of data has been increasing owing to which governments have been adopting the use of access control systems. As the cyber-attacks, frauds and government authentication mandates continue to grow in sophistication and scope, the need to strengthen security while reducing costs is paramount across various industry verticals. To lear more about how SCS can help with Access Control please contact us. When will AI trasnform surveillance? AI or Artificial Intelligence is changing the security industry with the power and scope of always on networked computers. We usually think of surveillance cameras as digital eyes, watching over us or watching out for us, depending on your view. But really, they’re more like portholes: useful only when someone is looking through them. Sometimes that means a human watching live footage, usually from multiple video feeds. Most surveillance cameras are passive, however. They’re there as a deterrence, or to provide evidence if something goes wrong. Your car got stolen? Check the CCTV. But this is changing — and fast. Artificial intelligence is giving surveillance cameras digital brains to match their eyes, letting them analyze live video with no humans necessary. This could be good news for public safety, helping police and first responders more easily spot crimes and accidents and have a range of scientific and industrial applications. But it also raises serious questions about the future of privacy and poses novel risks to social justice. A recent article by James Vincent published the Verge makes interesting reading and asks probing questions about trust in Governments. – What happens when governments can track huge numbers of people using CCTV? When police can digitally tail you around a city just by uploading your mugshot into a database? Or when a biased algorithm is running on the cameras in your local mall, pinging the cops because it doesn’t like the look of a particular group of teens? These scenarios are still a way off, but we’re already seeing the first fruits of combining artificial intelligence with surveillance. IC Realtime is one example. Its flagship product, unveiled last December, was billed as Google for CCTV. It’s an app and web platform named Ella that uses AI to analyze what’s happening in video feeds and make it instantly searchable. Ella can recognize hundreds of thousands of natural language queries, letting users search footage to find clips showing specific animals, people wearing clothes of a certain color, or even individual car makes and models. In a web demo, IC Realtime CEO Matt Sailor showed The Verge a version of Ella hooked up to around 40 cameras surveilling an industrial park. He typed in various searches — “a man wearing red,” “UPS vans,” “police cars” — all of which brought up relevant footage in a few seconds. He then narrowed the results by time period and location and pointed out how users can give thumbs-up or thumbs-down to clips to improve the results — just like Netflix. Let’s say there’s a robbery and you don’t really know what happened,” says Sailor. “But there was a Jeep Wrangler speeding east afterward. So we go in, we search for ‘Jeep Wrangler,’ and there it is.” On-screen, clips begin to populate the feed, showing different Jeep Wranglers gliding past. This will be the first big advantage of combining AI and CCTV, explains Sailor: making it easy to find what you’re looking for. “Without this technology, you’d know nothing more than your camera, and you’d have to sift through hours and hours and hours of video,” he says. Ella runs on Google Cloud and can search footage from pretty much any CCTV system. “[It] works well on a one-camera system — just [like] a nanny cam or dog cam — all the way up to enterprise, with a matrix of thousands of cameras,” says Sailor. Users will pay a monthly fee for access, starting at around $7, and scaling up with the number of cameras. That won’t be the case for long. While IC Realtime offers cloud-based analytics that can upgrade existing, dumb cameras, other companies are building artificial intelligence directly into their hardware. Boulder AI is one such startup, selling “vision as a service” using its own standalone AI cameras. The big advantage of integrating AI into the device is that they don’t require an internet connection to work. Boulder sells to a wide range of industries, tailoring the machine vision systems it builds to individual clients. If IC Realtime represents the generic end of the market, Boulder shows what a boutique contractor can do. In both cases, though, what these firms are currently offering is just the tip of the iceberg. In the same way that machine learning has made swift gains in its ability to identify objects, the skill of analyzing scenes, activities, and movements is expected to rapidly improve. Everything’s in place, including the basic research, the computing power, and the training datasets — a key component in creating competent AI. Two of the biggest datasets for video analysis are made by YouTube and Facebook, companies that have said they want AI to help moderate content on their platforms (though both admit it’s not ready yet). YouTube’s dataset, for example, contains more than 450,000 hours of labeled video that it hopes will spur “innovation and advancement in video understanding.” The breadth of organizations involved in building such datasets gives some idea of the field’s importance. Google, MIT, IBM, and DeepMind are all involved in their own similar projects. IC Realtime is already working on advanced tools like facial recognition. After that, it wants to be able to analyze what’s happening on-screen. Sailor says he’s already spoken to potential clients in education who want surveillance that can recognize when students are getting into trouble in schools. “They’re interested in preemptive notifications for a fight, for example,” he says. All the system would need to do would be to look out for pupils clumping together and then alert a human, who could check the video feed to see what’s happening or head over in person to investigate. This is fascanating stuff and an area we will be wathcing closely. A great deal of Crime is preventable, and safeguarding your businesses through the use of technology is a critical component in risk reduction. Once key component recommended by CSC is the use of CCTV. A shocking statistic that you might be unaware of is that for every 100 crimes, an average of 16 are prevented through the use of CCTV. If a business hasn’t already installed a CCTV system, it is already at risk and criminals who want to commit horrendous crimes against that business can instantly spot vulnerabilities. It is also known for crime rates (burglaries and vehicle crimes) to reduce in areas that have active CCTV systems. The benefit of CCTV is that any footage recorded can be used by a police force. For example, if there was no CCTV in place, it could take longer to catch the criminal as detectives would have to search for CCTV in the local area, obtain that footage and then look through it. If a business has been victim to a crime, but has CCTV, it can be a much quicker process; although active CCTV can deter criminals completely from attacking a business. 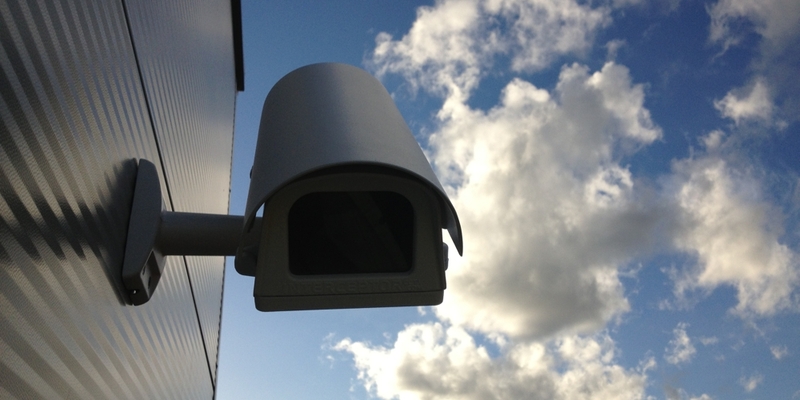 It is vital to think on your feet when it comes to placing CCTV around your perimeter. It is important to be able to identify people who come and go from the business on a daily basis. From this, you can use the high-quality footage to identify an individual and this will allow police to pick up on certain characteristics that may lead them to the culprits. It may also be necessary to capture vulnerable points to make sure all areas of a business are covered. See our CCTV overview below. CCTV cameras come in both wired and wireless models. Some of the wired models get their power from the network cable, while others need a mains connection. 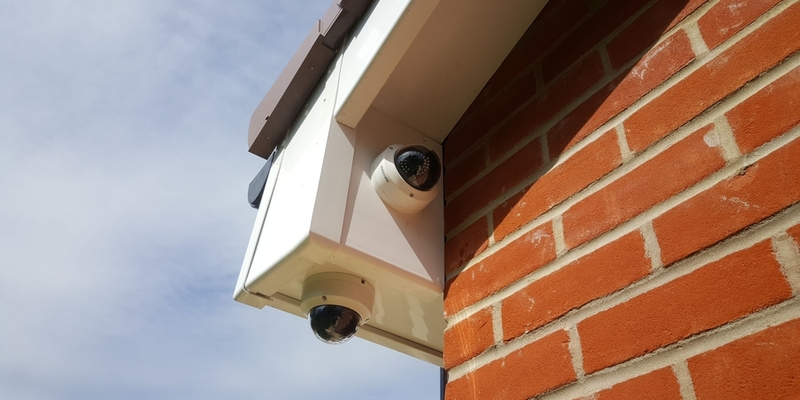 If you need to place cameras outdoors, or minimise visible wiring, wireless cameras are usually a better choice. Various types of cameras exist to cover different areas. That might include domed cameras for outdoors, small ‘bullet’ type cameras for doorways, and a more traditional camera on a stand indoors. We recommend that you purchase HD cameras if at all possible. Older cameras with 640×800 resolution are fine for the basics, but they may not present a clear picture, which might be important if you needed to see someone’s face or read a number plate. Infra-red LED lights will illuminate the area at night and give you a better picture in the dark. Remember that infra-red light, while invisible to our eyes, will reflect off glass. In other words, you can’t point an indoor camera out of the window at night. For full control and remote access, ask us to supply cameras with pan and tilt technology, so you can move the lens using a smartphone or browser and see a wider viewing angle. You might also choose to have two-way audio, so you can hear what’s going on and speak through the camera. Speaking through the camera may require an external speaker. IP based cameras are inexpensive and don’t require masses of wires. You’ll need to decide whether you want footage recorded on-site (on a DVD or SD card), or whether you want footage to be sent to you electronically when motion is detected. While you can watch your cameras from remote locations, it’s best to have some kind of automation so that you catch intruder activity whenever it occurs. In end-to-end security, it’s important to consider that the security chain is only as strong as its weakest link. That is why it is essential that an access control system is always evaluated in its entirety, to discover where the weakest link can be found. It is not uncommon for access control systems to be installed and then used for the longest time possible without any attention to updating the system’s intrinsic security features. There are many systems in the field that are over 10-years old, based on technologies much older than this and with no or very low cyber security protection. Some ‘weak-links’ might be strengthened by new encryption methods, others by good process and some only by partial or entire replacement. What is essential is that for those considering investing in new technology, not to introduce weak-links. Cards are an important part of access control systems and for many years have been the most popular form factor for identifying a person at an entrance. Many different types of cards are available from a wide variety of suppliers but to simplify we can focus on Proximity cards (circa 125kHz) and Smart cards (13.56MHz). Proximity cards are an older technology that for the most part have low security features. Organisations that have retained this technology (especially combined with weigand reader communications – see later) may be well advised to look at newer and more secure alternatives. A few basic internet searches about how to hack the most common proximity technology shows a device for around £30 that can clone a card. This alone would introduce a vulnerability to the access control system that could lead to further security exploitations. Smart cards can offer enhanced security but there must be diligence about their design. To use a card serial number combined with a weigand output reader is not offering much more protection than using older proximity technology. Amongst the wider feature-set of smart cards, the capability to create secure solutions should be adopted. Future-proofing (ability to adapt) and encryption key ownership are important design factors too. The type of data encryption employed can differ greatly between the various smart card types. The transmission of information between the card and the reader provides an opportunity for hacking. This could take the form of eavesdropping or skimming, or could involve pretending to be someone else (spoofing). Encryption is an effective security technique that can be used to counter this. The most secure method is to have this encryption decoded by the controllers rather than at the reader, because they are usually located on the secure side of the building, however many readers and even systems do not support this. The reader reads the card details and converts it into a wired signal. The reader therefore does not really have to do anything with the information that is on the card. This means that there is no need for decoding to take place in the reader. After all, allowing decoding to take place in the reader would only create a security risk, because the keys for decoding are also held on the reader. This is a risk that must not be underestimated, although many of the solutions in use provide only limited options. The same risks of hacking by eavesdropping, skimming or spoofing that apply in relation to card-reader transmission also apply here. It is therefore important to take care that you are not using a generic protocol such as the popular Wiegand protocol as this is very susceptible to hacking. The ideal solution is to consider the security of the card and the reader and their communications and ensure these are encrypted and future-proof meaning the security can be enhanced if there is a future vulnerability. We have all heard the old adage, “Two heads are better than one.” Similarly, two factors are better than one in the security authentication landscape. In fact, a recent study conducted by the Pew Research Center illustrates why reliance on the single factor of ID and password may not provide sufficient protection. The study found that 39% of online adults have shared their password to one of their online accounts with a friend or family member. In addition, 25% admit that they often use passwords that are less secure because simpler passwords are easier to remember. If you can remember it, its not that secure. While many online consumers do not follow cybersecurity best practice to protect their passwords, the availability of malware along with the ease and relatively low cost to launch phishing attacks have made commandeering IDs and passwords an elementary task for fraudsters. In recent years, credential breaches have become so common, with compromised accounts numbering in the tens and hundreds of millions for some services, consumers can go to websites like HaveIBeenPwned.com to search for their username or email address to see if any breaches impacted them. Based on our experience, there are several factors to consider when rolling out MFA with as little impact to end users as possible. To protect online services with hundreds of thousands of users globally, we elected to use ID/password as one factor (something the user knows) and a one-time-passcode (OTP) delivered via email/text/phone (something that the user possesses). Whatever combination of factors you select, the cost and how well your customers accept the control will dictate your final project scope. For us, in a world in which end-users access from many locations and devices, versatility was an essential element. With that said, we included the ability to receive the OTP via multiple delivery methods. Regardless of the size of your organization or customer base, you will encounter challenges. Here are some of the challenges we encountered. Ensuring the control is on by default for all targeted customer accounts. To reduce the amount of manual intervention, it is recommended that the control is set on all accounts, but coded to become active-aggressive when an account/user ID meets a certain level of criteria. The concept of “active-aggressive” means the control is always active, but is only triggered when specific features and/or data are accessed. If certain criteria are not met (i.e. user does not attempt to access sensitive features and/or data during the session), the control remains in a passive mode (i.e. the user is not prompted with an OTP). Features and/or data deemed less sensitive can be accessed without interruption. The primary benefit is that all accounts are protected. There is no need to turn the control ON/OFF for certain types of customer accounts. The end result is that users are only prompted when they access the features or data deemed as sensitive. This strategy can help reach a balance between preserving a positive customer experience and providing adequate protection. Ensure that the delivery elements are protected by multi-factor. The initial setup of the delivery methods was one of our biggest challenges. At some point, we had to allow the end-user to define their email and phone number for this to be a success. The model of having both the end user and an internal administrator add the delivery elements during ID creation worked well. In most cases, the delivery element added was correct and the end-user did not have a need to do any updates. Once the user accesses from the multi-factor (i.e. approved device), they are free to make their own updates. Implement alternate vetting options for updating delivery methods. To request changes to delivery options, it is imperative that end-users have a way to contact your company (i.e. Customer Support). For example, in the instance that the phone number used to deliver an OTP via text has changed, vetting procedures commensurate with your risk threshold must be in place to accommodate the end user. Sufficient key event logging needs to be in place to understand when multi-factor authentication was successful or failed. As you review and investigate the success of the control, having event logs will help determine the success rate of your multi-factor control. It will also help in determining if enhancements are needed to bolster a previously unknown weakness in the control. The need for an alternate multi-factor control cannot be underestimated. We have found that there will always be a few corner-cases in which your mainstream multi-factor control will not suffice. One example is accounts that demand an alternative and are key contributors to your company’s revenue. We also suggest the use of a Password management tool such as LastPass. These tools both store and create secure passwords so you don’t have to. 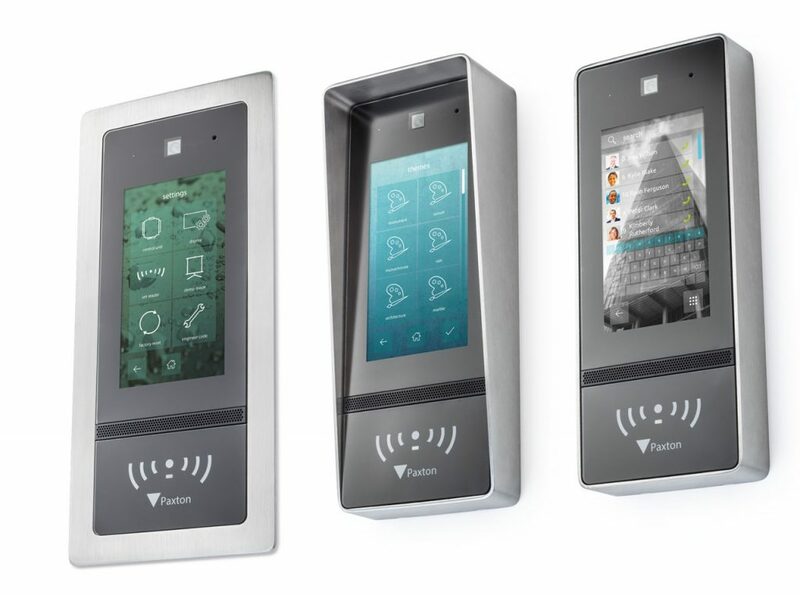 News from Paxton: Net2 Entry Touch panel is the latest addition to their door entry range, compatible with Net2 access control. The new panel comes with premium features, including a quality 7-inch colour touch screen with customisable options, making Net2 Entry suitable for more sites than ever before. We have used the Paxton Net2 software based solution for many clients looking for Access Control. This latest addition to the Paxton range further enhances our support for quality access control system.